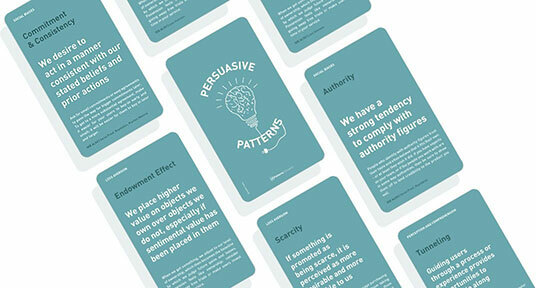 Persuasive design is an area of design practice that focuses on influencing human behavior through a product’s or service’s characteristics. Based on psychological and social theories, persuasive design is often used in e-commerce, organizational management, and more recently in digital apps via UX design. The Source – The persuader who wants to influence the user’s behaviour. This is usually the designers or developers of the product. The Goal – The goal can be improving a specific KPI, like retention, engagement, session reactivation. All persuasion is goal-oriented. Goals can also be set up to be short term, mid-term and long term, as we will see below. The Medium – These are user facing components, UI elements, messages or widgets used, which the persuader directs at the audience. 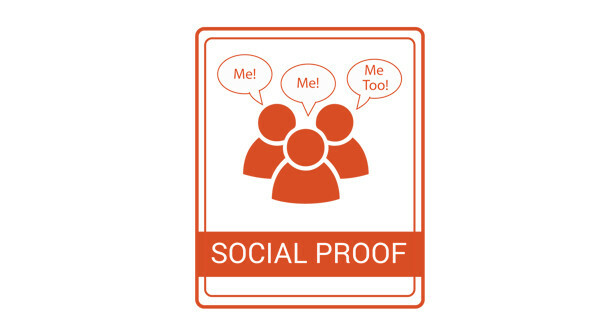 The Audience – The users who can help the persuader achieve the goal. ﻿In his highly anticipated book, Thinking, Fast and Slow, Daniel Kahneman explains the two systems that drive the way we think in our everyday routines. System 1 is an automatic, fast and often unconscious way of thinking. It is autonomous and efficient, requiring little energy or attention, but is prone to biases and systematic errors. System 2 is an effortful, slow and controlled way of thinking. It requires energy and can’t work without attention but, once engaged, it has the ability to filter the instincts of System 1. Guess?...Which system did you use when looking at problems above? Most persuasive design patterns focus on switching the user from system 2 to system 1 which then forms an effective easy to practice habit pattern. Source: You can buy an entire deck on this site if you wish. If it's running out, must be in demand. I want it, to avoid missing out! This principle tells us that people are more likely to want something if they think it is available only for a limited time or if it is in short supply. FOMO or fear of missing out is a powerful persuasive force in this principal. I am more likely to act on advise from a trusted source or an expert. This principle is about influencing behaviour through credibility. People are more likely to take an action or make decision if the message comes from a credible and authoritative source. It does not mean it has to be a real person can be a virtual guide or a guidance system that onboard and advises the users. Leading users through a premeditated sequence of actions, step by step. When users enter a tunnel, they give up a certain level of self-determination. This principle closes off detours from the desired behaviour, without taking away the user’s sense of control. Tunnels take users through a decision process by removing all unnecessary functionality as well as giving them shortcuts to perform an action. This principle tells us that people are more likely to pay attention to elements in your user interface that are novel and are relevant to where there are in their task. For example, there are specific times during a purchase when shoppers are more likely to investigate a promotion or a special offer. If everyone is doing it, I might as well go along with it! This principle tells us that we like to observe other people’s behavior to judge what’s the norm, and then copy it our self. How to use Persuasion to engage users with your product on daily basis? While persuasive design can be applied in many situations. This article focusses more on Daily actions, which are available to do over a 24-hour period. Many games now heavily subscribe to a variety of daily actions which are backed by heavy improvement in retention and other KPI's. Research shows for an activity to become a habit, it needs to be repeated 7 days in a row continuously same time. Many games open calendar rewards as soon as players log in to the game offering rewards to players for logging in everyday, it is sort of a loyalty program where players are rewarded just to open your game everyday. Some games augment this concept by integrating short term, mid term and long term goals, daily, weekly and then monthly rewards. For rewards to work they have to be progressive and variable, if you get the same rewards everyday the fast thinking system of the brain treats it as noise and gets used to it. Hence showing progressively more appealing rewards creates subtle goal as well as variation for the user. First impression are driven by perceived value, even if the player is not familiar with exactly what the reward does, even if visually it is more appealing, color, size, quantity, rarity perceived value will be higher. Clicking on rewards should give info. about what they do, how easy or hard it is to get them. Some games can get more punishing by either using a streak mode or using loss aversion to make sure players loose rewards if they break the routine of daily collection. 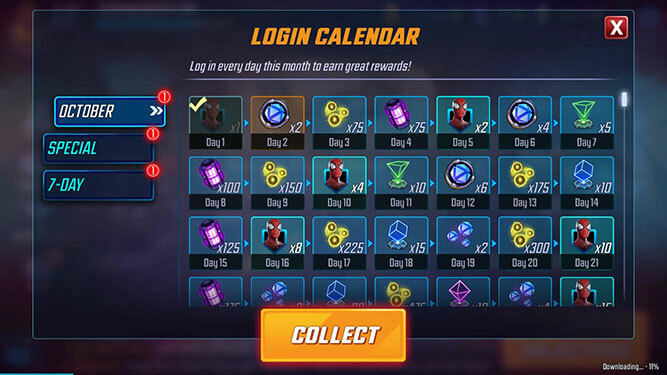 Well implemented calendar daily rewards may also give players resources they might need in their immediate session, to do different activities like build, combat, compete etc. hence providing high utility for players to not miss out on them. Which persuasive design criterions does this feature fulfills? Recognition: Player sees it on daily basis and does not need to recall where it lives. Scarcity: Every reward is only available in a 24 hours or 7 Day or 30 Day window, before it expires. Tunneling: This is the first screen player see, over taking the entire home page of an app or a game, so player is tunneled to see it every day. 2) Daily Rewards: Delayed gratification and mystery boxes. Building anticipation by delaying gratification. Daily rewards are timed rewards which players can collect at chronologically spaced intervals ranging from 5 minutes all the way to 24 hours, these rewards are lucrative because they are mostly mystery boxes ie: players have no clue what they might get, they remind players to come in regularly to collect them and start the game on a high, they also trigger intrinsic motivation over time. Delayed gratification can be quiet powerful as it builds anticipation and combined with mystery box approach keeps players guessing. These differ from calendar rewards in the sense that they do not necessarily create mid-term or long term collection goals and instead of using a progressively improving perceived reward system might rely solely on anticipation built on mystery boxes. Scarcity: Every reward is only available for a brief 24 hour window, before it expires, or if you don't claim it you will lose out on the next 24 hour free reward. This feature is an excellent example of tunneling technique of Persuasive design. Most products optimize their UX to allow users to use "Fast thinking" mode of brain. When users land in to your product, some form of guidance is needed to handhold the user to make them use the product in different ways. Many users need hand holding as to how they can spend their time more efficiently in the app without getting lost in crowded interfaces and multiple actions they can undertake. Hard-Core and Mid-Core games can have many features that players can interact with, but using daily goals as shepherding mechanism is appreciated by many players as they don't have to spend time figuring out what they should do in their session. Tunneling gives game designers an avenue to introduce players to features of game that they might be not to motivated to interact with or feature that are so hidden that player might not ever discover them. Tunneling: Feature guides the player through every step of the task, occupies prime real estate and is animated to catch players attention. Authority: Guidance system which on boards the user. Players learn to trust the callout to progress through the game. Recognition: Player sees it on daily basis and does not needs to recall where it lives. Scarcity: Goals expire after 24 hour window and get replaced by new goals, so if not done in the same day, players progression on that gal will be lost. 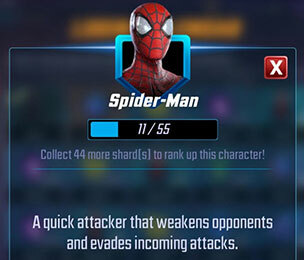 Daily events are basically tournaments which sound very similar to Daily goals but they differ from goals by bringing in the social aspects of play. While daily goals are actions players can do on their own, Daily events make players compete or co-operate with other players in the game or their friends via leaderboards and may offer more lucrative rewards. They engage a category of players who like competing with others in a social setting and like to see themselves rank high on social leaderboards. Social Proof: Drives player who like competition and co-operation, by seeing other players participating and ranking on leaderboards. Recognition: Player sees it on daily basis, announced via an icon on HUD or interstitial welcome screen and does not needs to recall where it lives. Scarcity: Events expire after 24 hour window, along with any progress made and get replaced by new events, can lead to loss aversion as well. Perhaps the most pertinent examples of persuasive design are seen in daily offers and flash sales that occur not only in games but many commerce sites and apps as well, these are designed to create a sense of urgency and reward users for their quick decision making, these examples while quiet common tick marks many criterions of persuasive design. Recognition: Player sees it on daily basis and do not need to recall where it lives. Scarcity: Offers are only valid for 24 hours window and refresh over time. 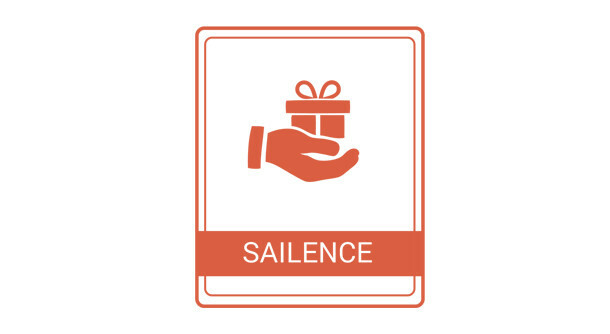 Salience: These offers are usually tailored to meet the needs of segmented player based on where they are in the game or progression by targeting players of different levels with different offers, so two different level players might see completely different offers, there by relevant to what they are doing in the game and personalized to their needs. Too many competing Daily persuasive models may create a choice bias and end up confusing the player. Designers might end up using persuasive techniques to help themseleves rather than the user! Daily features are becoming more and more popular to habituate users to keep coming back to games. Persuasive design models have been part and parcel of user journey in games and other digital application, used knowingly or unknowingly by designers. An understanding of the core techniques like Recognition, Scarcity, Tunneling, Authority, Social Proof etc. helps develop a framework when designing persuasive models. Designers can choose to combine several principles or use a more effective principle over a less effective one, when thinking of what they are setting out to accomplish. Persuasive models that pull users to interact with them on daily basis are finding widespread adoption and success and trending in games industry, about time other digital apps take note! Mar 22 Game UX Style Guide: Why do you need one?